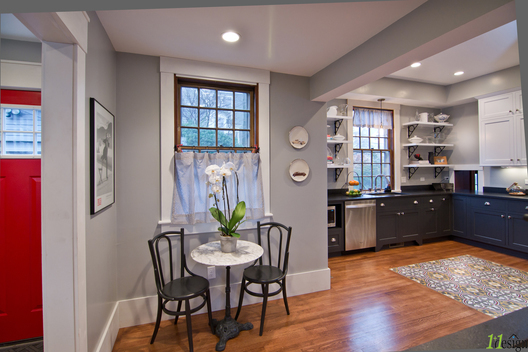 bdiem@1plus1-design.com | A Hingham based Residential, Commercial & Interior Design studio serving Greater Boston and New England. 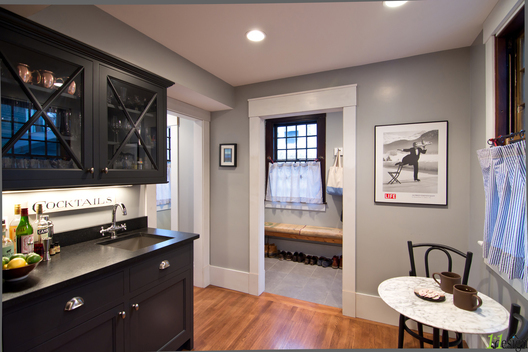 A period renovation to a vintage Queen Anne ship captain's home in the Carruth neighborhood of Dorchester. 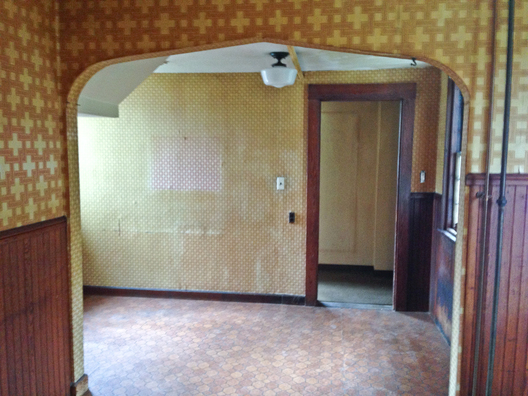 With the original integrity of this 130 year old home intact, a few major updates breathe new life into this charming residence. 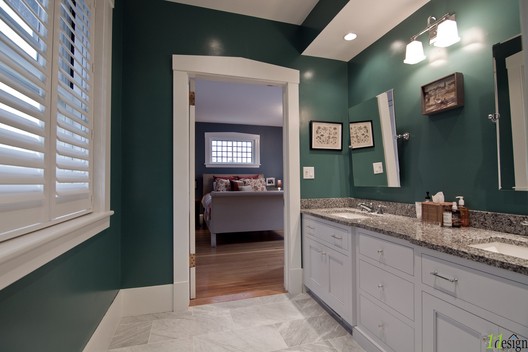 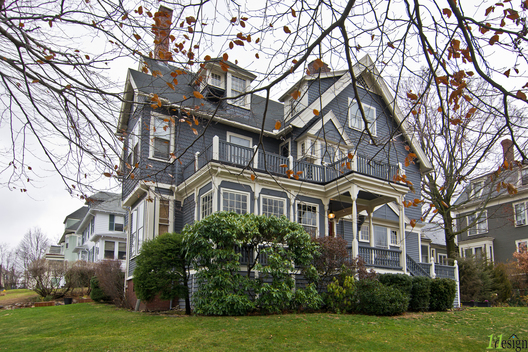 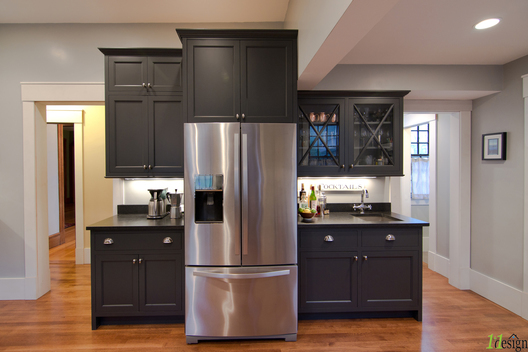 a perioid renovation to a vintage ship captain's home in Dorchester. 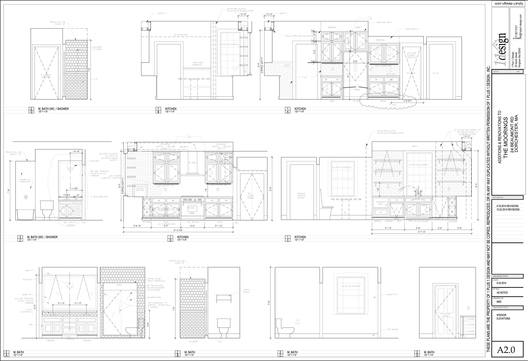 The working drawings of the proposed interior elevations illustrating cabinetry and coordination of materials. 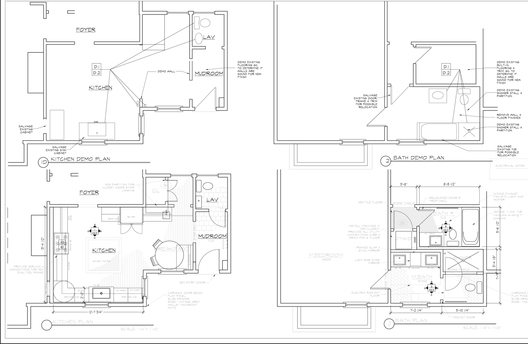 These drawings are crucial to the success of any of our projects. 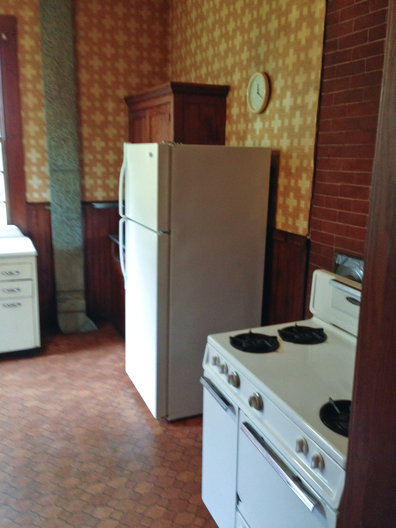 Originally a 5 bedroom 1.5 bath home. 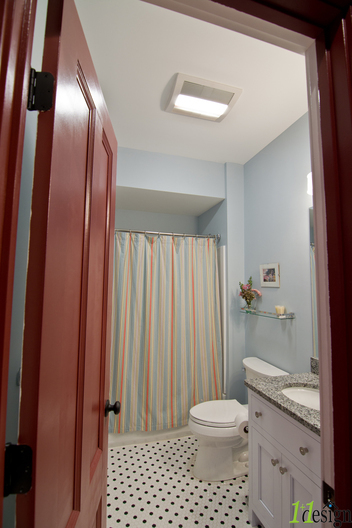 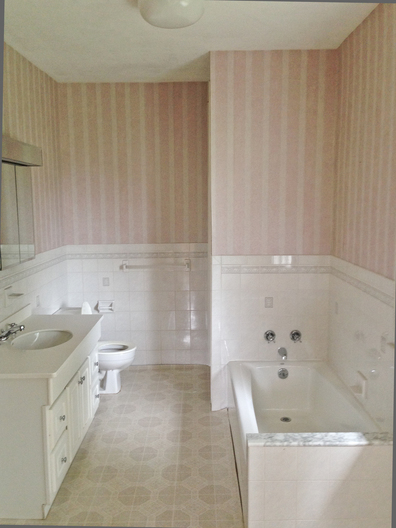 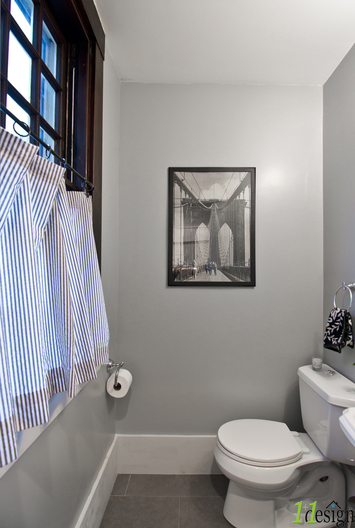 This is the existing shared full bath which was renovated to become the master bath and and a new shared bath was placed in an adjacent closet. 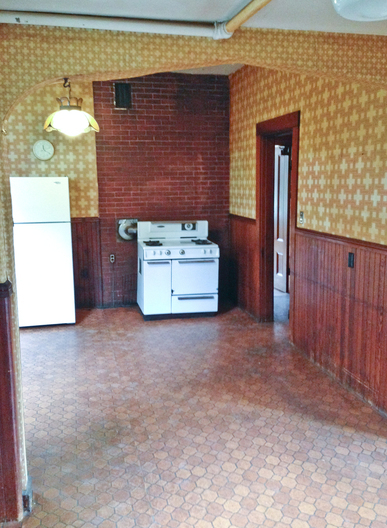 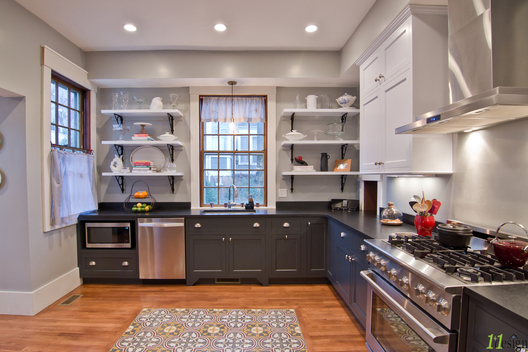 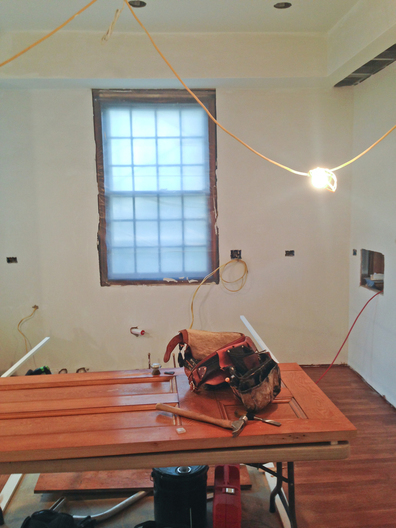 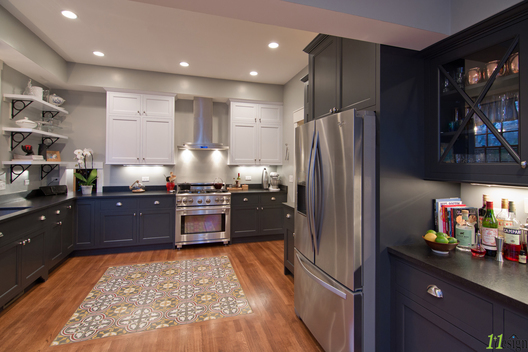 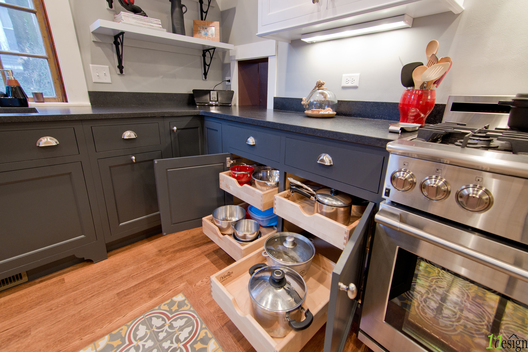 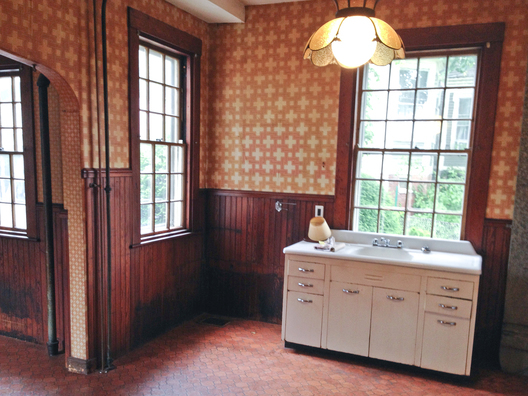 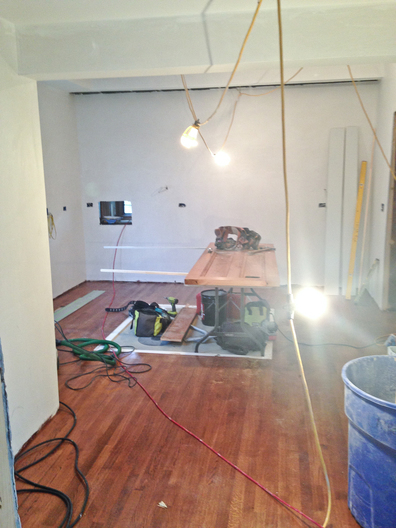 The existing kitchen was in it's original state with no cabinetry, built ins or counter tops. 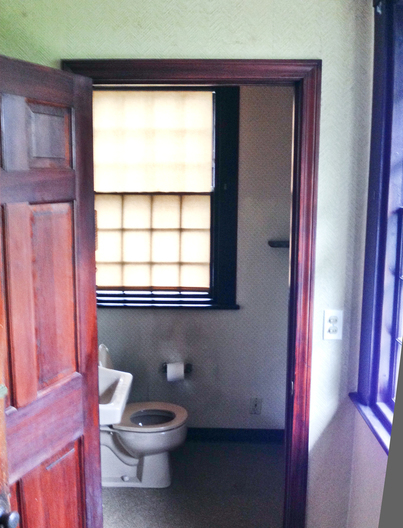 This lav was reconfigured to provide better access. 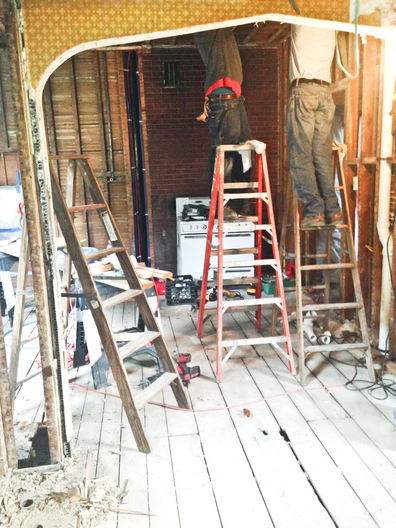 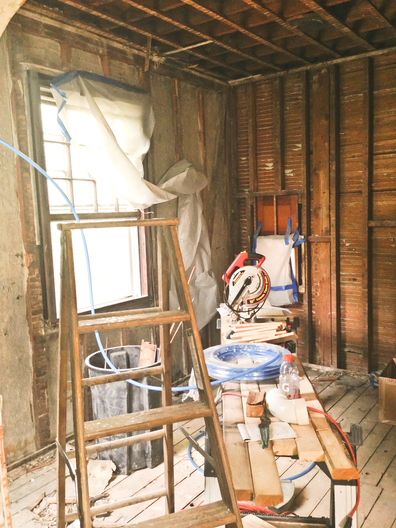 Demolition and re framing, plumbing and wiring. 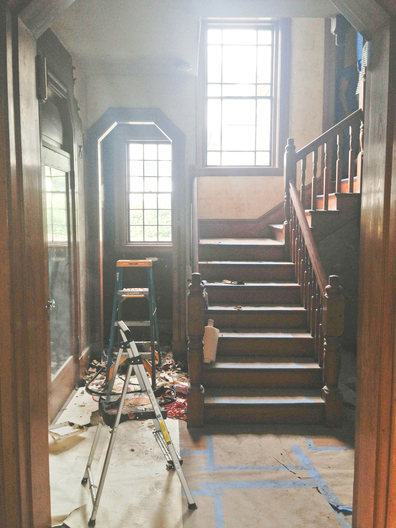 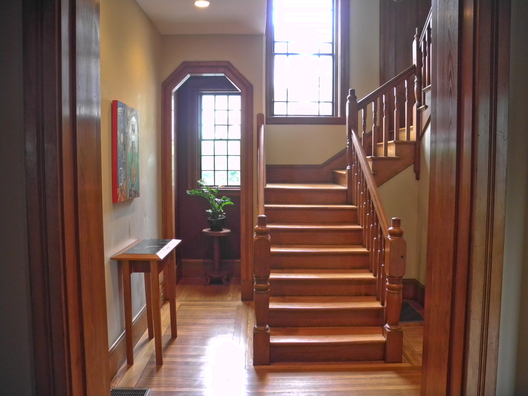 Existing Stair hall is prepped for new finishes.